This past weekend I was making a recipe that called for stock/broth. I’m currently out and I don’t want to purchase anything else that clutters up my pantry so I decided to see if I could make my own. I did and it’s much more cost effective than buying vegetable broth in the cartons – which usually runs around $1.99 for 32 oz. 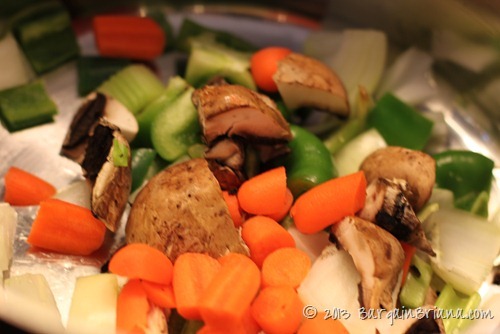 As part of my plan to save more money in 2013 and eat from our pantry, making my own vegetable broth seems like a easy way to save and always have plenty of vegetable broth on hand for my recipes. Bring to a boil. Simmer for an hour or so. 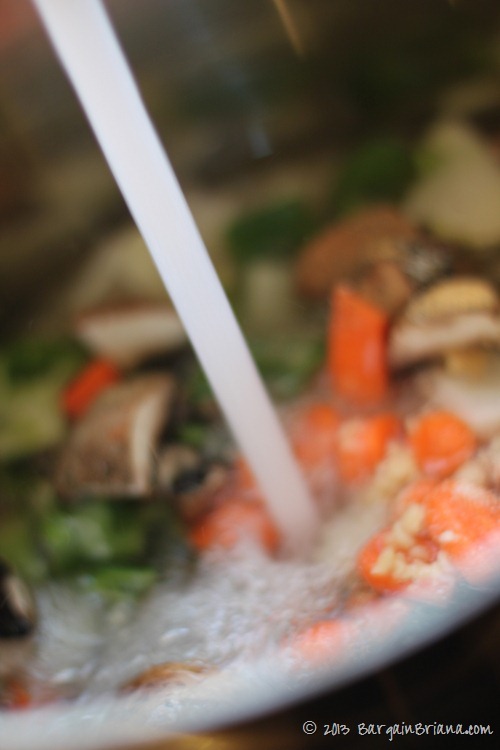 Strain your vegetables from the liquid. Discard the vegetables. You may need to use a fine strainer to remove all the vegetables. I froze my vegetable broth in portions that we would use for soups since we have plenty of containers. If you are low on containers or want to save space, you can freeze the broth in ice cube trays. Pop the cubes out and put in a gallon bag and store in the freeze. Then just pull out the cubes when you need them. Approximately two cubes equal 1/4 cup of broth. Tip: Use vegetable scraps such as potato peels, scraps, and other odds & ends. This is a great way to reduce your wasted vegetables too. I used this broth in my White Bean Chili Recipe this week and it tasted great! Spices such as garlic, oregano, salt, pepper, etc. Cover vegetables and spices with water in a large pot.